We’re halfway through the 2014 Coffee Spot Awards with the shortlist for the “Best Espresso” Award, which was won in 2013 by Vagabond N7. When it comes down to it, I still tend to judge a Coffee Spot by the quality of its espresso. Of course, this is entirely subjective and down to taste. I would never knock a place that made a good espresso just because it wasn’t to my taste. 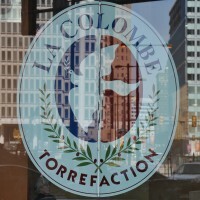 La Colombe roasts all its own coffee and has two standard blends, the Nizza (house blend) and the Fishtown. I played it safe and had the Nizza, which is an excellent espresso, just how I like it; smooth, lots of body and a hint of bitterness. In the interests of fairness, I did also try the Fishtown blend (at that point, 70% Guatemalan/30% Ethiopian) and while I enjoyed it, it was still a little too fruity for my palette. Celebrating its first birthday on New Year’s Day, Box Kite is, dare I say it, more European-style coffee shop than American. There’s no house-roaster, just regularly-rotating guests. 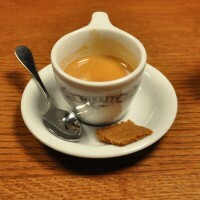 While I was there, I had a Yukro from Ethiopia as an espresso, roasted by Madcap from Grand Rapids, Michigan. It was was very sweet, with fruit notes and a certain sharpness to it, but neither dominated. All-in-all, an excellent cup of coffee. Machina Espresso is another that regularly rotates its coffee and also sells the beans, so if you like something, you can take it home with you. It was here that I discovered North Berwick’s Steampunk, with the Tiger Stripes blend. 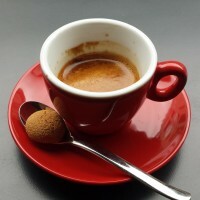 his was a very fine espresso indeed: smooth, full-bodied, and with no bitterness, it had a great mouth feel, with none of the sharpness that I find can add a slightly unpleasant edge. 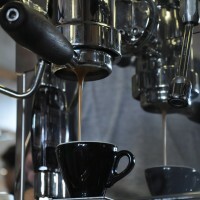 Machina Espresso has also been nominated for the Brian’s Coffee Spot Special Award. Laboratorio Espresso brings a slice of Milanese espresso bar culture to Glasgow. There’s a bespoke espresso blend from nearby Dear Green Coffee, but it was the guest, from Hamburg’s Public Roasters that blew my socks off! Smooth, with a lovely mouth feel and no hint of bitterness, it was one 2014’s best espressos. Laboratorio Espresso is also shortlisted for the Best Coffee Spot Near a Railway Station and Smallest Coffee Spot Awards. My favourite NYC Coffee Spot from my trip in 2013, I returned in 2014 to see the owner, Giovanni, who served me a single-origin Sidamo from Ethiopia. As ever, it came beautifully presented on a curved china tray with a glass of water. The espresso match the beauty of the presentation: a very well-balanced coffee, with great body: the perfect espresso for me. 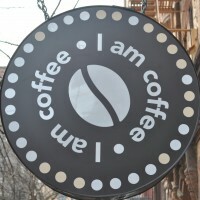 I Am Coffee is also shortlisted for the Smallest Coffee Spot Award. I had a natural-processed single-origin Yirgacheffe, from Butterworth & Son. I’ve not tasted anything quite like it: it was really light and zingy, a sweet, complex coffee. Quite superb. Strangers is also shortlisted for the Coffee Spot Most Resembling a Coffee Shop and Brian’s Coffee Spot Special Award. 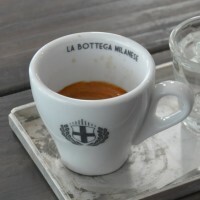 Bringing the best of Milanese espresso bar culture to Leeds might be one way of describing La Bottega Milanese. Or effortlessly blending traditional Italian espresso with third-wave roasting is another. However it’s described, I loved the house-blend from Grumpy Mule in Holmfirth. Smooth and dark, with a touch of bitterness, it’s reminiscent of old school espresso at its best. While I was at Cup North in Manchester, I finally caught up with Sheffield roasters, Foundry, where I was drawn to the lovely Londinium lever espresso machine (see left). Using this, I was served an Ethiopian Yirgacheffe natural which was just out of this world. It had a syrupy mouth-feel and an incredibly sweet, smooth taste. Cup North was also nominated for the Best Saturday Supplement Award. Number 35 Coffee House & Kitchen, appropriately enough at No 35 on Dorchester’s West High Street, is a gem amongst coffee shops, with regularly-rotating guest roasters on espresso and filter.I tried the Ethiopian Dumerso from Mission Coffee Works which was lovely as an espresso: sweet, very rich and fruity. 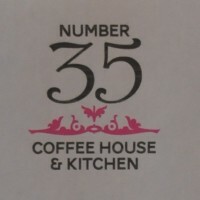 Number 35 has also been nominated for the Brian’s Coffee Spot Special Award. Cult Espresso is, I think, the first to bring coffee from Bath’s Round Hill Roastery to Edinburgh on a permanent basis.I tried a single-origin Ethiopian which was very complex, with lots of fruit notes, but well-balanced. Incredibly smooth, it had very much a roof-of-the-mouth feel. 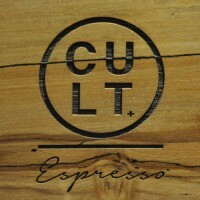 Cult Espresso has also been nominated for the Coffee Spot with the Best Basement Award. This is a sort of two-for-the-price-of-one nomination, since Steampunk roasted the espresso I loved at Machina Espresso. While I was there, I tried Steampunk’s other regular blend, the Velos. It was equally to my liking: smooth, dark and surprisingly sweet, but not at all bitter. Honestly, it could have been roasted especially for me. Steampunk has also been nominated for the Coffee Spot with the Best Outdoor Seating Award. Last, but not least, comes the Attic from York, the upstairs branch of Harlequin Coffee and Tea House. Serving a regularly-rotating set of beans from Has Bean, I tried the Tanzania Burka Natural. This was superb as an espresso. Smooth and sweet, it went down a treat without a hint of bitterness or acidity. 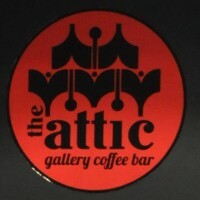 The Attic has also been shortlisted for the Most Passionate about Coffee Award.